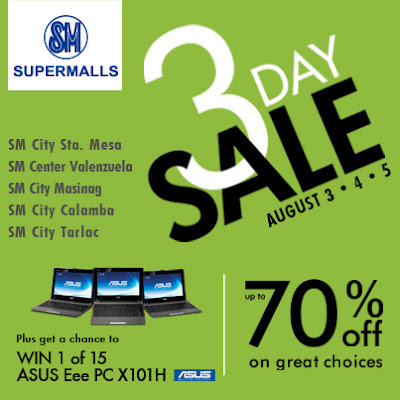 Its time for the SM 3-Day Sale again! 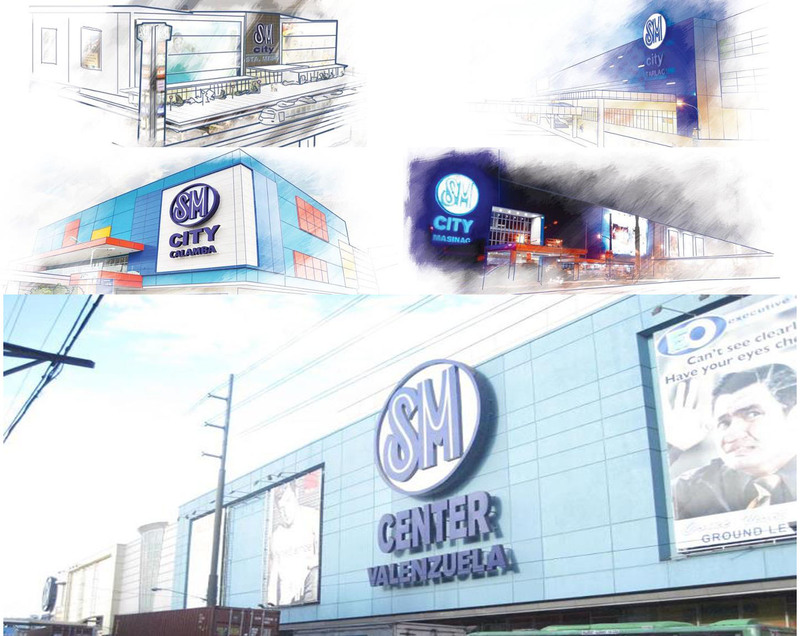 This August 3-5, SM Supermalls Sta. Mesa, Valenzuela, Masinag, Calamba and Tarlac will slash off up to 70% off on great choices. I'm just as excited because SM Sta. Mesa will be participating and its just a train ride away! 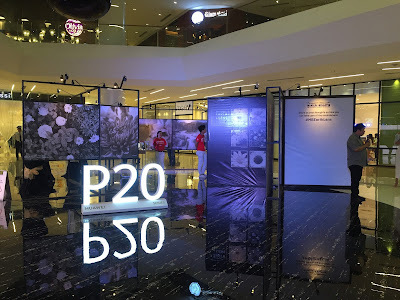 Aside from the very huge sale, every P500 single or accumulated purchase, within the promo period, from SM Department Store, SM Supermarket/Hypermarket or from any participating mall establishment entitles shopper to one (1) raffle coupon. This will give you the chance to win 1 of 15 ASUS Eee PC X101H. Isn't that great? You had the opportunity of buying stuff at a discounted price, while you get to win a new laptop. But wait, you can also get one (1) raffle coupon with every P150 single purchase receipt at SM Foodcourt, a single purchase of four (4) SM Cinema tickets or your P150 worth of tokens at the Amusement Centers. The possibilities are endless! This sale was already finished and I am hoping that they have again sale in SM Supermalls Sta.Mesa. I will update with your next post regarding sales. Thanks!